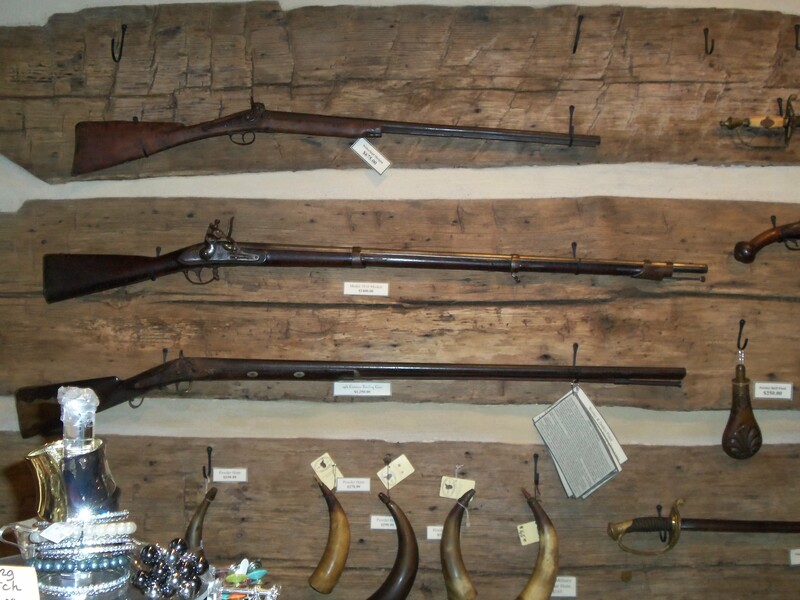 I took this picture at a restaurant\antique store in the Shenandoah Valley in September and promptly forgot what kind of guns they are with the exception of 1816 Springfield Musket. Magnification of the labels show the top gun as shotgun and the bottom gun as a fowling-piece. The shotgun and fowling-piece would have been used by the civilians of the Valley in the 18th and 19th centuries while the Springfield was military and was supposed to be a replacement for the 1812 Springfield Musket which proved inadequate in the War of 1812 with Great Britain. Both the 1812 and 1816 Springfields were based on the French Charleville 1777 design. The Springfield musket was a flintlock smoothbore of .69 caliber. One of the most remarkable aspects of the gun was its longevity. With improvements the weapon saw service in the regular US Army and in Militia units. It was found in multiple conflicts that included the opening years of the American Civil War. 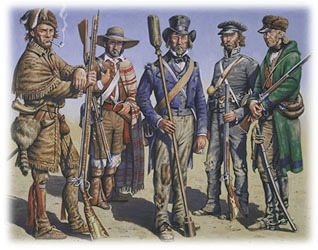 The Texans who defended the Alamo (1836) would have been armed with a mixed bag of weapons but some carried the 1816 Springfield. 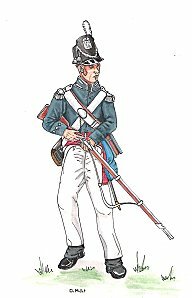 Their Mexican opponents would have been armed with British Brown Bess muskets. This one was priced at $2400.00 dollars about ten times what I would have paid! Interesting piece of American history. 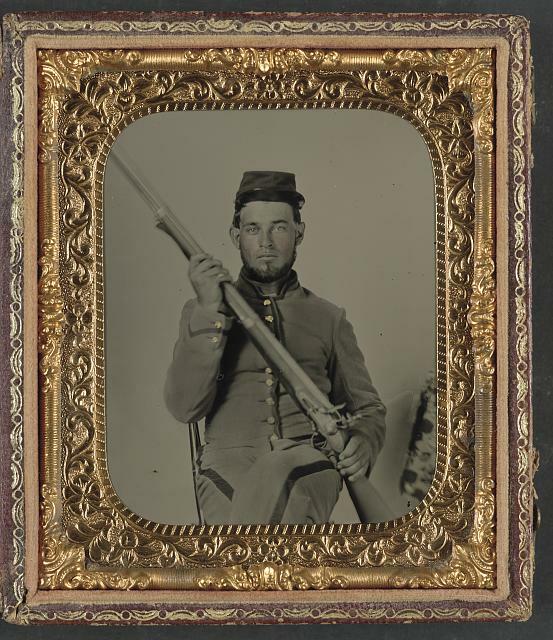 Unidentified Confederate Soldier with a Flintlock, 1861-62.